We’re now certainly past the halfway mark of 2016, but I wanted to take a moment to recognize some of the best movies I’ve seen from the first six months of the year. I know things are looking pretty bleak in terms of blockbuster fare right now, but if you’re looking in the right places, there’s been a lot of really good stuff this year. Here’s a look at my 10 favourites, so far. After watching Whit Stilman’s hyper-acerbic Damsels in Distress from a few years back, he never would have been the name I’d attach to a Jane Austen adaptation. But, as Love & Friendship shows, he actually might be the perfect person to take on the charm and subtle sass of Austen’s work. Whitman has a field day here loosely adapting one of the author’s early novellas, casting muse Kate Beckinsale as a self-serving widow who strikes up a friendship with a younger man (Xavier Samuel). The film is modern without feeling distractingly out-of-time and it manages to be both charming and scathing in nearly equal measure. Tom Bennett is particularly funny as the would-be paramour of Beckinsale’s daughter, but the whole cast here seems to embrace Stillman’s sly, cynical wit. Whether you love Austen or are decidedly anti-costume drama, there’s probably something for you in this unlikely crowd-pleaser. Skittering just on the line of typical biopic fare, Born to Be Blue avoids succumbing to the worn-out tropes of similarly-themed films like Walk the Line and Ray. 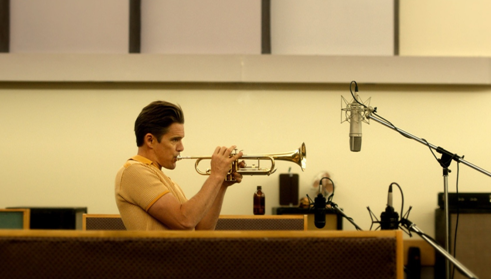 The film follows Chet Baker as he’s washed-up and looking for a come-back, and it succeeds partially because it focuses on such a specific time in the musician’s life. Writer-director Robert Budreau has a clear, melancholy handle on the material, and he does an excellent job of painting Baker as a fully-formed person, and not just a clichéd “troubled musical genius”. On top of that, Ethan Hawke’s performance as Baker is magenetic, and the film’s experimental, partially-fictionalized flourishes make it well worth watching. And that gut-punch of an ending? Most biopics would never have the nerve to end on such a dour, intimately authentic note. 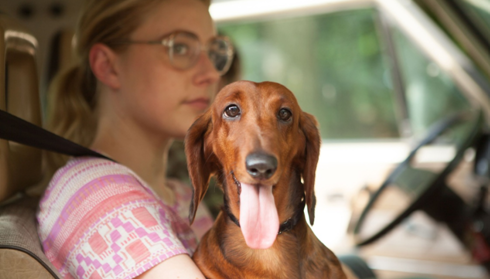 Todd Solondz’ distinctive brand of miserabilist comedy won’t be everyone’s cup of tea, and in fact, I didn’t think it would be mine until I made my first foray into his work with Wiener-Dog. Told in four distinct parts, the film follows its titular wiener dog through various stages of life and as she gets passed around to different owners. It’s a bizarre, dark, and frequently funny film, but I was surprised by the amount of heart it had, as well. Solondz’ insights on humanity obviously lean towards the cynical, but the empathy he shows his characters is what prevents the film from veering into the mean-spirited. This is especially apparent in the portion with Greta Gerwig and a never-better Kieran Culkin, which, as well as serving as a quasi-sequel to Solondz’ own Welcome to the Dollhouse, shows the depth of the director’s emotional insight. Precise and even-keeled, one could almost accuse Gavin Hood’s Eye in the Sky of being boring. But his multi-layered look at drone warfare is an example of such tight storytelling that Hood somehow makes a film largely about military conference calls into an edge-of-your-seat thriller. 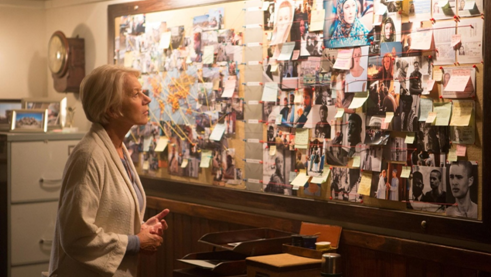 Eye in the Sky takes place over the course of one day, showing how one seemingly small decision affects a huge swath of people – partly because it’s a decision that no one actually wants to take the responsibility to make. Is the film’s message subtle? No, not exactly. But with such taut storytelling conveyed by the likes of Alan Rickman, Helen Mirren, Barkhad Abdi, and Aaron Paul, the results are thrilling, often unexpected, and surprisingly affecting. Luca Guadagnino’s A Bigger Splash feels like it could be a stage play. It’s extremely character-driven and anchored by four very strong central performers (Tilda Swinton, Ralph Fiennes, Matthias Schoenaerts, and Dakota Johnson), exploring heady themes and doing so without a lot of visual pyrotechnics. But then again, if you were watching this story on a stage, you wouldn’t get the backdrop of the gorgeous Italian countryside. And you certainly wouldn’t get flair and whimsy of Guadagnino’s camerawork, which really brings the film to life. This is a film that is moving not because of its relatively well-worn story about disaffected rich people who can’t get their personal relationships in order, but because of the way that story is told. And what a journey it is. Most people seem to agree that it’s been a real dismal year for blockbusters so far. But while 10 Cloverfield Lane’s relatively scant $15 million budget doesn’t exactly make it a blockbuster, it’s easily one of the best things that’s passed through the multiplexes this year. There are lots of fantastic things about this movie, not least of which is the fact that what is essentially an indie-minded cinematic chamber piece made over $100 million at the box office. 10 Cloverfield Lane is thoughtfully written, compelling, tense, and wonderfully acted. I don’t know about you, but that’s pretty much all I want when I go see a blockbuster, and it seems like audiences and critics were also fully on board. Perhaps Hollywood should take note. After pulling off a surprise Palme d’Or win at last year’s Cannes Film Festival, Jacques Audiard’s latest, Dheepan, opened to surprisingly little fanfare stateside back in the spring. (To date, its total U.S. gross is a paltry $240,000.) This is a real shame, because I actually found Dheepan to be far more accessible than I was expecting. Granted, I realize that a French film about Sri Lanken immigrants (yes, there are subtitles) is going to be a tough sell to North American audiences. It was never going to be a big hit. But Audiard takes such a soulful and deeply engrossing look at the life of the titular Dheepan and his makeshift family as they start a new life together that I was completely sucked in from the start. 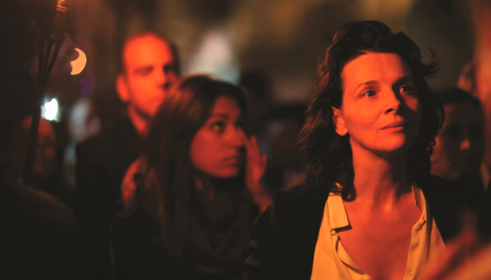 Juliette Binoche is always fabulous, and her performance in her latest European arthouse offering is no exception. The Wait marks the directorial debut of Piero Messina, who was perhaps previously best known for serving as assistant director on Paolo Sorrentino’s The Great Beauty. Messina proves to be a more than capable director in his own right here, making the most of his two lead actresses (up-and-comer Lou de Laage holds her own opposite Binoche, helping to turn the film into an enchanting two-hander), as well as the gorgeous setting that imbues the quiet film with a sort of haunting quality. I saw the film at TIFF last year, but it received such a blink-and-you’ll-miss-it theatrical release back in April that I won’t begrudge anyone who missed it entirely. But it’s certainly worth seeking out. Okay, I’ll admit that my movie taste definitely trends on the side of indie. Some might call it character-driven. Some might call it boring. 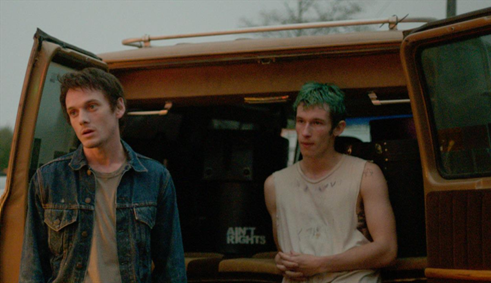 But even though Green Room is in some ways very much an indie film, it also in other ways very much IS NOT. This is a film that’s gritty and gruesome, taking a certain type of pride in the destructive path it leaves behind. It’s actually pretty difficult to classify, not quite falling under the “horror” title, but certainly influenced by many a cult film that has come before. Despite getting a fairly wide release, it never found much of an audience, which is a shame, as I really do feel like it would appeal to a surprisingly large variety of viewers. Rare is the film that manages to be both thoughtful and filled to the brim with thrills, but Green Room artfully and entertainingly strikes that balance. 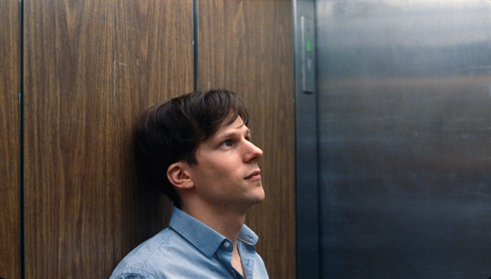 At the risk of seeming too predictable – yes, here is another cerebral Jesse Eisenberg film at the top of my best-movies-of the-year list (see also: The End of the Tour in 2015, Night Moves in 2014, and The Social Network in 2010). And obviously, some of that does have to do with Eisenberg himself, who I like a lot as an actor (and he does turn in one of his most nuanced performances yet in Louder Than Bombs). But more than anything, I think he just happens to pick a lot of the types of movies that I’m drawn to. And Louder Than Bombs had a lot going for it for me from the start, being the English-language debut of Norwegian director Joachim Trier, whose 2008 debut, Reprise, I absolutely adore. He does it again here, telling an emotionally intricate tale of a family frayed at the edges. Gabriel Byrne is excellent as the family’s conflicted patriarch, as is newcomer Devin Druid, playing the petulant teenage son. Despite overall getting strong reviews, few seemed to love this movie as much as I did, but Louder Than Bombs has haunted me since I saw it at TIFF last September. Grungy, gruesome, and way more fun than it probably should be, Green Room joins the ranks of culty arthouse thrillers like Funny Games, The Mist, and Drive that flagrantly glide back and forth over the line between high- and low-brow entertainment. But while most films of this type ultimately fall into one of those categories or the other, Green Room keeps the audience on their toes, never showing its hand and continuing to offer up surprises and thrills right until its final moments. The film’s plot is both simple and bizarre. It follows a young punk band called The Ain’t Rights, who, after getting shafted on a gig while on tour, wind up being given a compensatory show playing to an aggressive crowd of Nazi skinheads in rural Oregon. After their set, things take a turn backstage and the goal then becomes simply to make it out alive. And thus, we have our movie. Our protagonist is Pat (Anton Yelchin), the band’s quiet bass player, who is joined by guitarist Sam (Alia Shawkat), drummer Reece (Joe Cole) and lead singer Tiger (Callum Turner). Back in the eponymous green room of horrors, the band also meets Amber (Imogen Poots), whose allegiances are murky, but who becomes an ally by necessity. Though we don’t get much in the way of backstory or character development, our main group of “good guys” feel wholly believable, unveiling more about themselves in the ways they respond to the insane situation unfolding around them. Particularly effective was how Cole’s quietly sturdy presence is laced with an undercurrent of rage from the start, making it feel natural how Reece boils over once stuff really starts hitting the fan. The film’s primary focus is thrills, which are in no short supply. It’s pretty much a perfectly paced film, holding back on its violence through much of the film to make it even more impactful when it does erupt. But Saulnier is clearly interested in creating more than just an action-packed thriller. 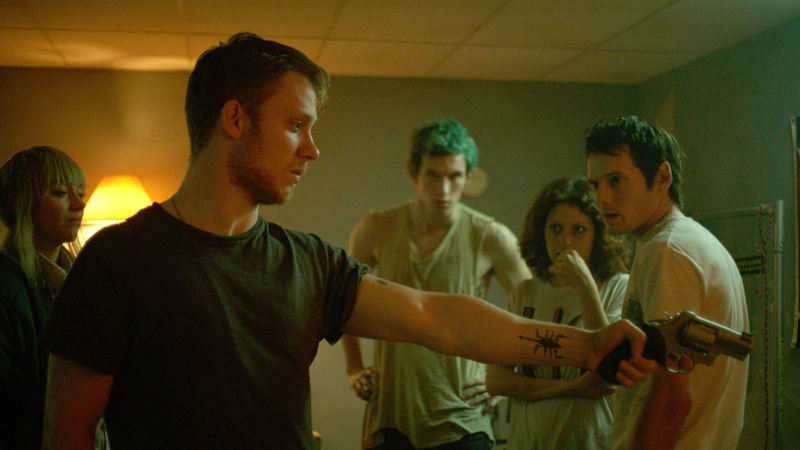 He sticks to his signature aesthetic and careful camerawork throughout, right from the misty, pastoral opening scenes through to Green Room’s most horrifying scenes, including one involving some …creative… use of a box cutter. On that note, one could probably spend a long time debating whether or not Green Room qualifies as a horror film. At most, I’d say it falls into the category of “survival horror” – films that aren’t necessarily “scary” in the traditional sense, but whose “horror” stems from the seemingly insurmountable situations the characters face (usually in some sort of isolated environment). And indeed, Green Room probably won’t seem groundbreaking unless you haven’t already seen some of the staples of this subgenre (Night of the Living Dead, 28 Days Later, the aforementioned Funny Games, etc, etc.) But Saulnier’s riff is so self-assured and gripping that it doesn’t really matter. Whether you’re enjoying the artistry, the plot, or both, Green Room is a completely compelling 90-minute ride.